Identifies natural healing methods that would actually work for you. What’s happening with your physical body. How your personal energy system works. Emotions that may be keeping you sick. Thoughts and beliefs that are holding you back. Soul agreements that have kept you feeling unwell. How you can take better care of your physical body using effective natural healing methods. How you can experience more consistent energy with breath work, chakra clearing, qi gong, tai chi and yoga. How to release your emotions easily through deep clearing work, flower essences and more. How to reframe your thoughts. How to experience greater inner peace through karmic clearing, quantum healing, past life vow releases and more. Maxine Taylor interviewed Catherine Carrigan for a medical intuitive reading about Melania Trump. You can read the blog about this reading at this link. Maxine Taylor interviewed Catherine Carrigan for a medical intuitive reading about Ivanka Trump. You can read the blog about Ivanka Trump at the link. Maxine Taylor interviewed Catherine Carrigan for a medical intuitive reading about Jeff Sessions, U.S. Attorney General. To read the blog about it, please click this link. Catherine Carrigan does a medical intuitive reading of White House Chief Strategist Steve Bannon on Maxine Taylor‘s Youtube channel. You can read the blog about Steve Bannon at this link. Catherine Carrigan does a medical intuitive reading of Donald Trump on Tuesday, Jan. 24, 2017, four days after the inauguration of our 45th president with Maxine Taylor. You can read the blog about this reading at this link. Catherine Carrigan does a medical intuitive reading of James Comey, former head of the FBI, on May 28, 2017. Move up to the next level now with your personal health and healing! 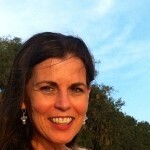 Catherine Carrigan has 21 years experience in natural healing. She has worked with clients in London, Lincolnshire, Scotland and throughout the U.K.
You can read my testimonials here. 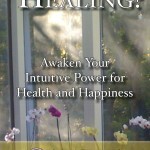 She is the author of five Amazon Number 1 bestselling books, What Is Healing? Awaken Your Intuitive Power for Health and Happiness; Unlimited Energy Now; Banish the Blues Now; Unlimited Intuition Now and What Is Social Media Today: Keywords, Hashtags and You, Oh My!. Her training includes 21 years experience in kinesiology, Brain Gym, acupressure, flower essences, Reiki master, quantum healing, yoga, qi gong, nutrition, food healing, corrective exercise, natural vision improvement, Touch for Health, metabolic typing, healing metabolism, Thai yoga body therapy, life coaching and money issue clearing. This is just a short list of how you can be assisted through natural healing. You can find out more at www.catherinecarrigan.com or by joining Catherine’s FREE monthly newsletter here. Call today for a FREE 15-minute consultation, 678-612-8816, or email catherine@catherinecarrigan.com to set up a consultation via Skype.